Balanced many aspects of the game - tradeskill success rates, monster strength, etc. 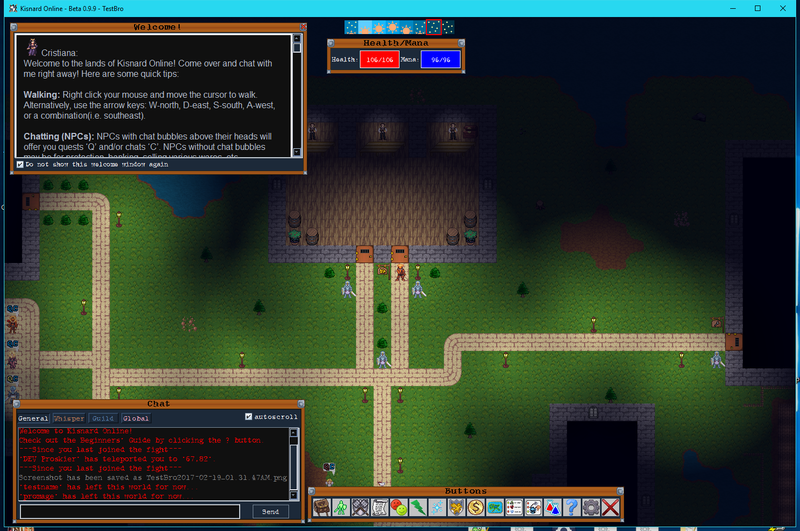 NPCs with chats and/or quest available show bubbles over their head. The 'Q' and 'C' will be colored for available, in progress, and completed.